Need a VPN for your phone? 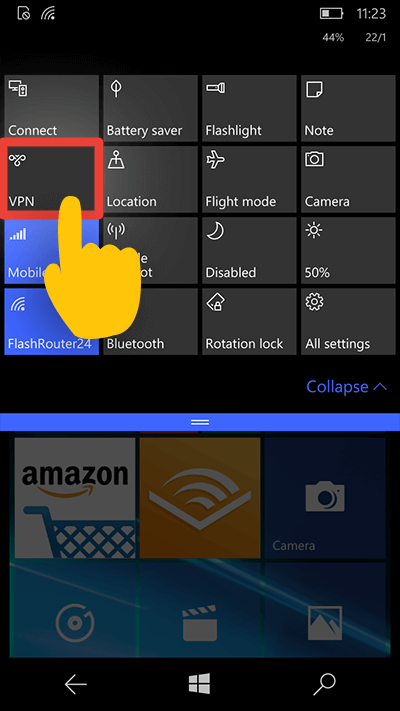 This tutorial guide will walk you through the steps to set up a VPN on your Windows 10 Mobile using the L2TP and PPTP protocols. 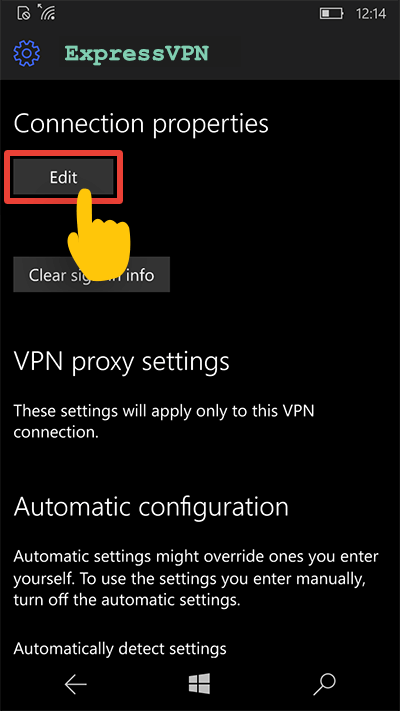 In order to use ExpressVPN on your Windows Phone, you will need to set up a new VPN profile. 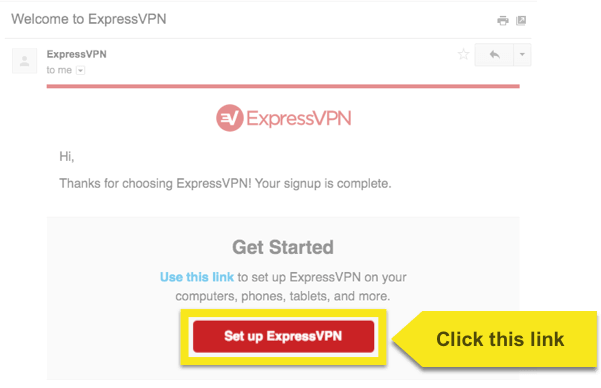 To set up a VPN profile, you will need a server address, your account credentials, and the IPsec pre-shared key. This section of the tutorial will show you how to find all of this information. Please note this information as you will need it to set up your VPN connection for L2TP and PPTP. To add a new VPN connection, we will go into your phone’s settings. Swipe down from the top to reveal the menu. Tap the VPN tile. 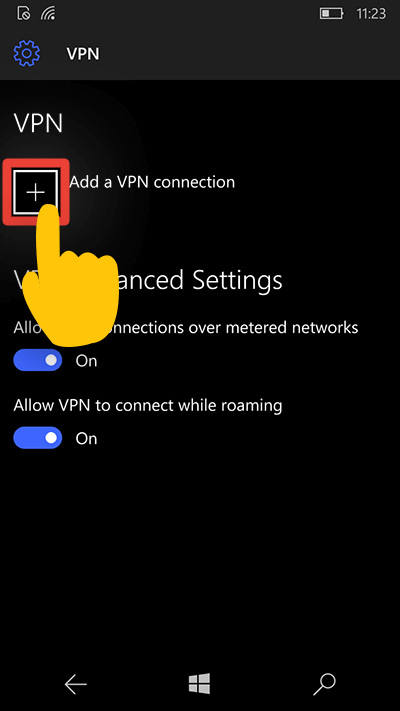 In the VPN options menu, tap the plus sign (+) to add a VPN connection. 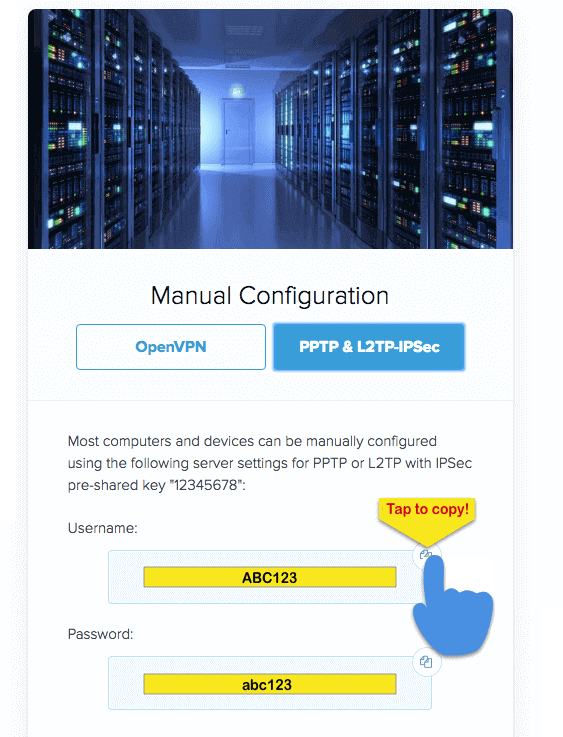 To set up an L2TP VPN connection, you will need your server address, username and password, and the IPsec pre-shared key from earlier. 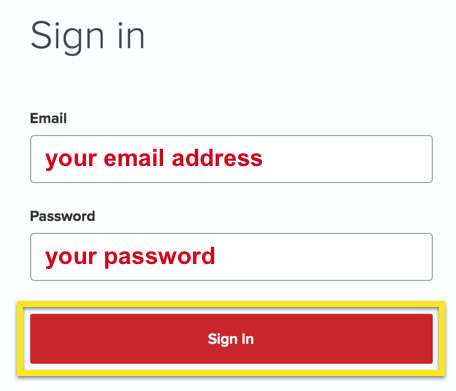 Make sure you check Remember my sign-in info, then tap Save. 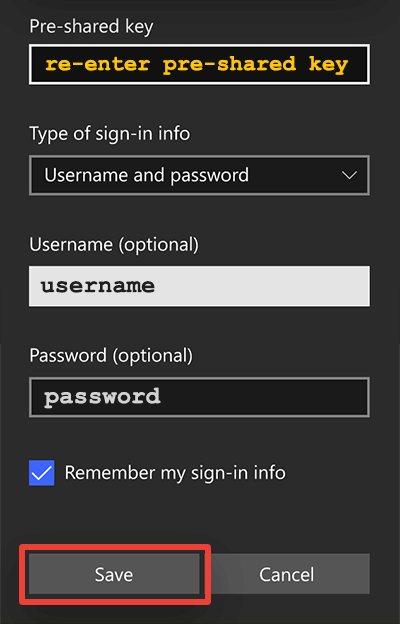 NOTE: In our build of Windows 10 Mobile, we noticed that after setting up an L2TP VPN connection, the pre-shared key would get modified and create problems while connecting. 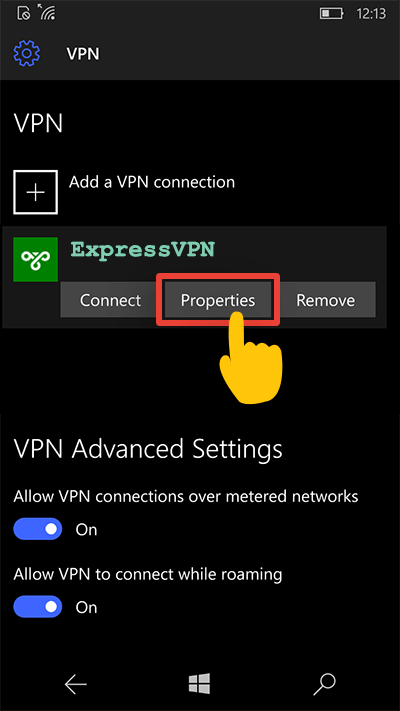 To solve this problem, tap the name of your VPN connection, then tap Properties. In the Connection properties menu, tap Edit. On the next screen, re-enter the pre-shared key from earlier, then tap Save. Return to the main VPN screen and try connecting again. NOTE: We do not recommend using PPTP unless absolutely necessary. PPTP offers only minimal security. Use L2TP if you can. 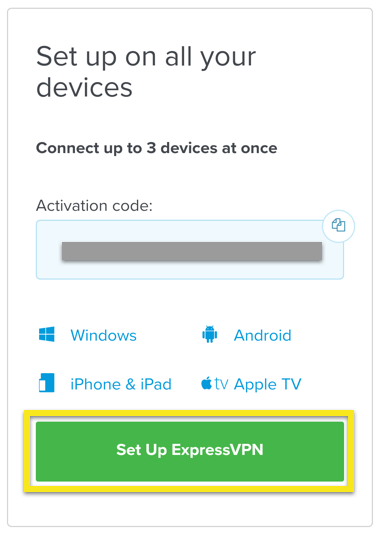 To set up a PPTP VPN connection, you will need your server address, username, and password from earlier. In the VPN menu, you will now see that your VPN connection has been added. 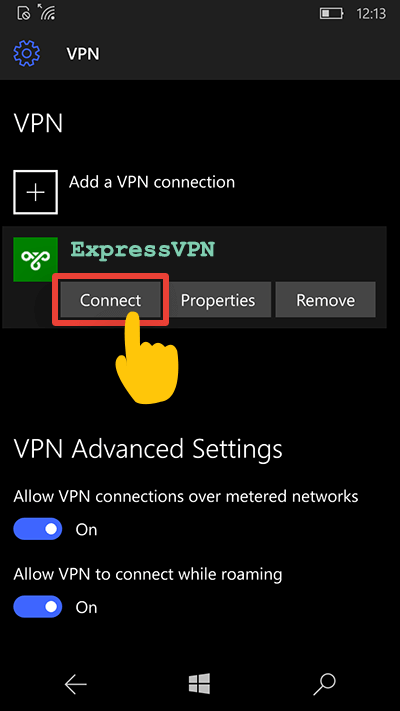 Tap the name of the new VPN connection, then tap Connect. Awesome! You can now access the Internet privately and securely! 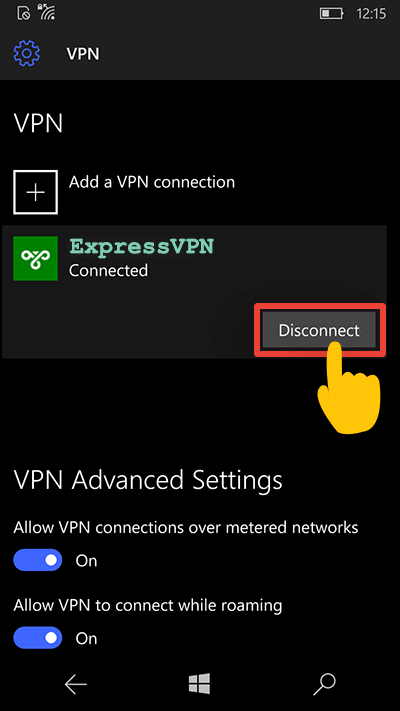 To disconnect from ExpressVPN, tap the name of the VPN connection, and then tap Disconnect.